Made to order to your wrist size. 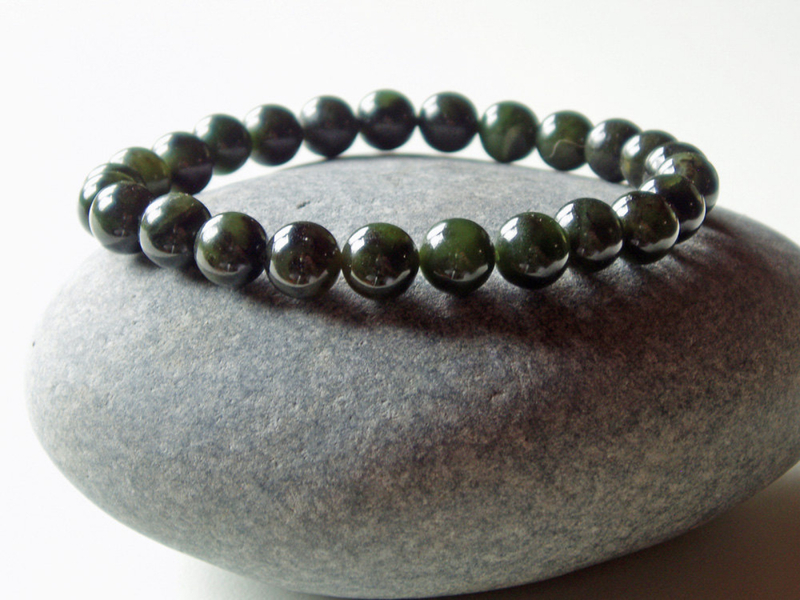 These bracelets are made with really elegant nephrite jade 8mm beads that are rich green and highly polished, strung together on strong black stretchy cord. I am working with Mother Nature and natural stones, therefore exact sizes, shapes and colors vary. The photos above attempt to show the variation in the beads. 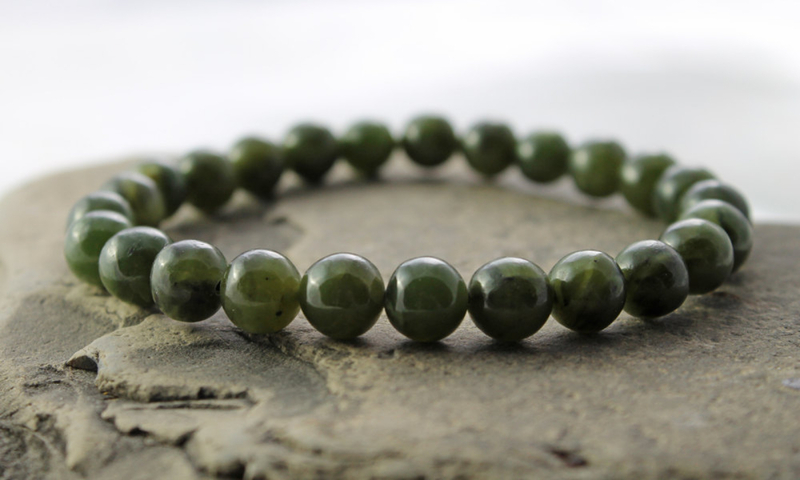 Jade, the precious gemstone known as the 'stone of heaven' has been cherished for millennia and is believed to possess mystical powers, immortality, and invincibility. Jade helps one cherish ones desires and to build ones dreams in this physical reality, inspiring one to accomplishment. 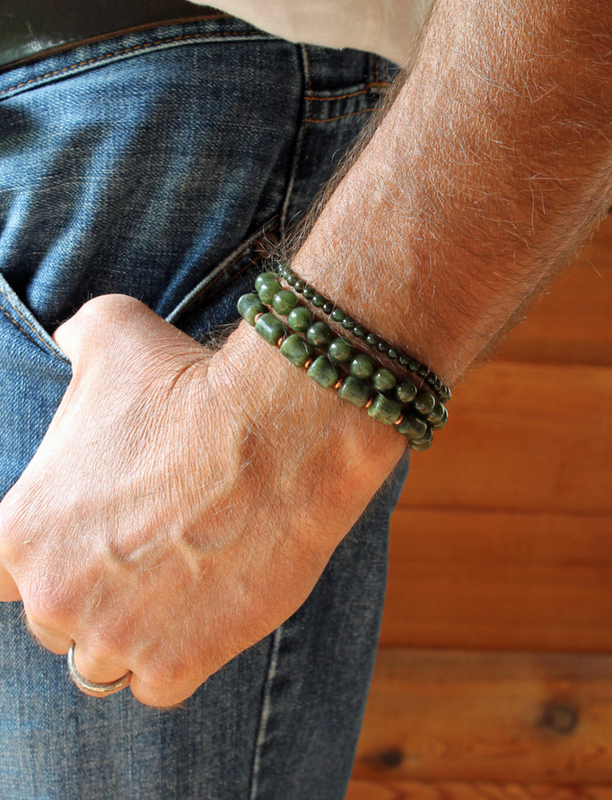 Jade is an ancient symbol of love and virtue. It is also called the Mayan ‘dream stone.’ It is used to promote harmony within and without, assisting in achieving meditative states. It is also thought to promote a long life. Shamans have used jade as protection from illness and for psychic protection. It has been used for eons to assist in ridding ones self of negative thoughts and energy. It has energetic clearing properties, and is useful to keep with other stones for this reason. 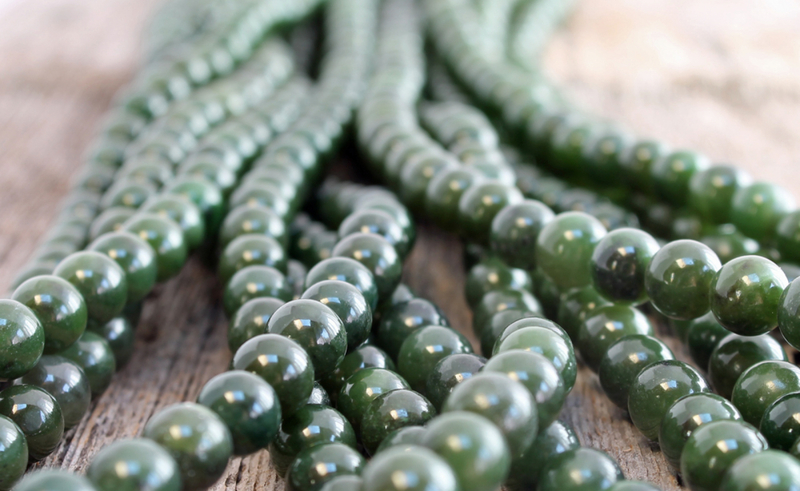 Some cultures even considered jade more precious than gold. 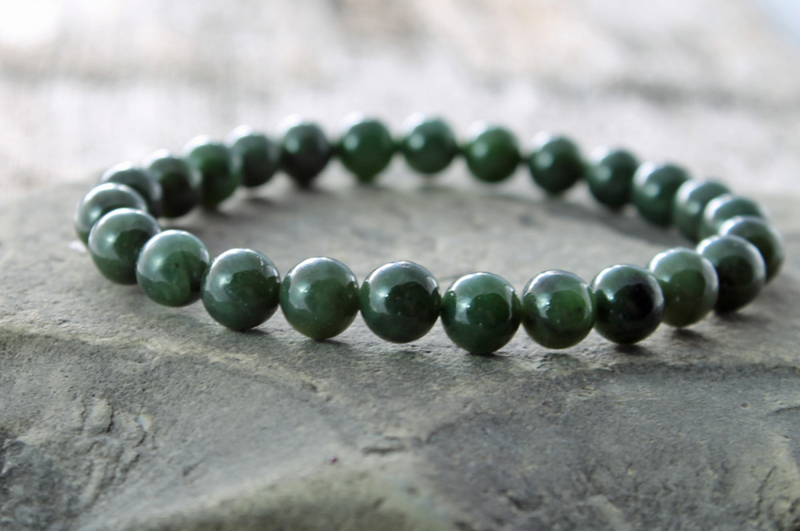 In the esoteric tradition of the Seven Rays, jade is a semiprecious stone of the 3rd ray (adaptability) and aligns with the throat center or Vishudha chakra. Jade may be given as a gem on the 12th, 30th and 35th wedding anniversaries. It is also the mystical birthstone for the month of March.